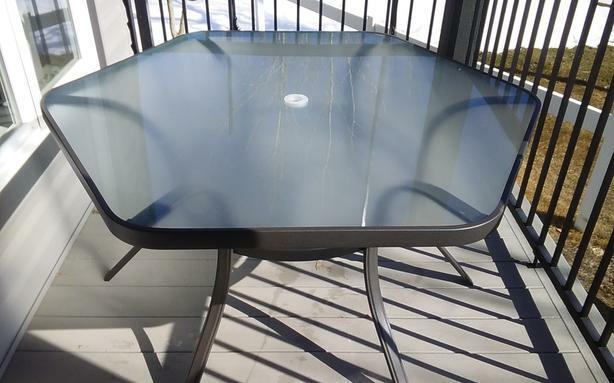 Patio table with tempered glass top. 56 in. Across. Seats 6. Only one year old. Moving to an apt., no room.